Sri Lanka is a small island off the south-east coast of India with a very rich and very unique culinary culture. In spite of its close proximity to India there are many things that set the country apart from its more affluent neighbour. From its beautiful golden beaches, to its lush vegetation and laid-back people, I was fortunate to have spent some of my formative years growing up in Sri Lanka surrounded by a rich heritage and an amazing diversity of food. As a one-time British colony, the recent history of Sri Lanka has been shaped by British influences and one of the greatest consequences of that is that the island is now home to arguably the best tea in the world! And there is one type of bread that goes better with a warm cup of Sri Lankan tea than anything else in the world. 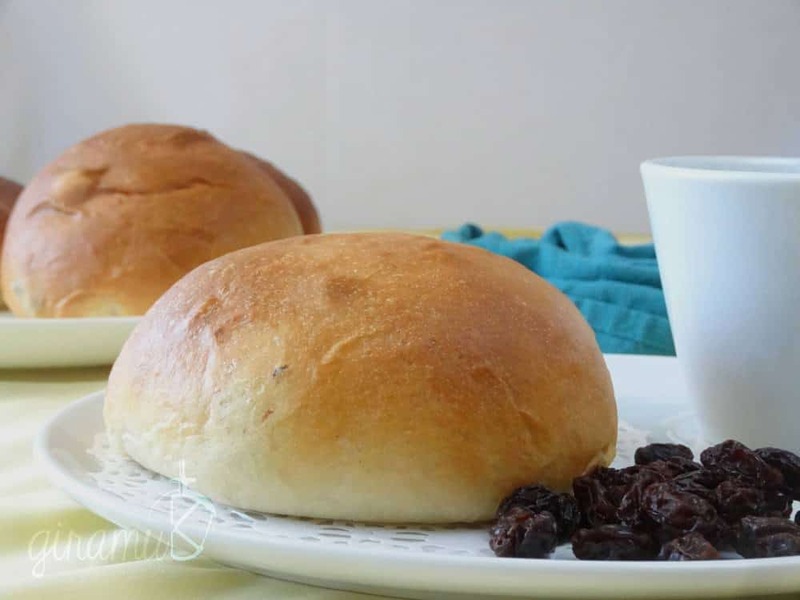 And that is the traditional Sri Lankan tea banis (pronounced [bah-nis]) – a melt-in-your-mouth soft and deceptively delicious bread roll. 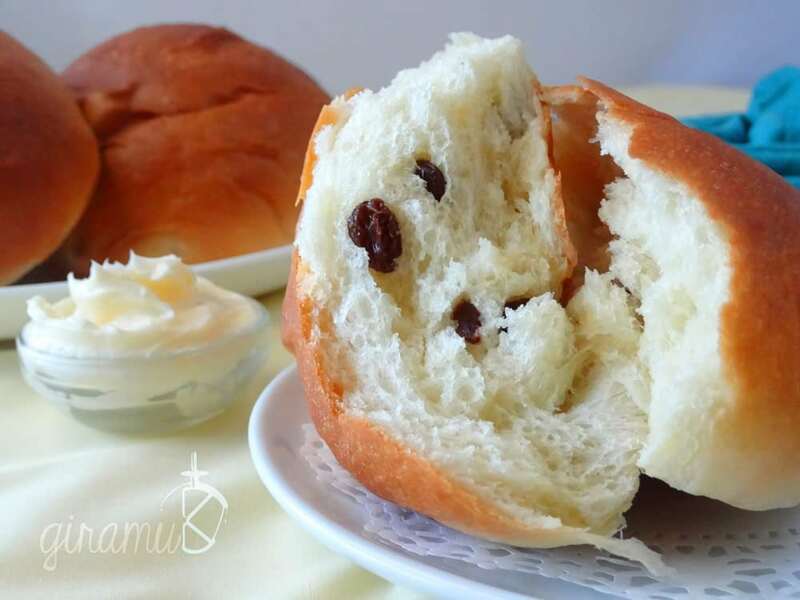 It may look like a regular bread roll, but do not be deceived by its simple appearance. There is a great deal more depth to its flavour and texture, just like a cup of strong Sri Lankan black tea. But one of the hardest things for Sri Lankan home cooks trying to make traditional tea banis at home is replicating that amazingly soft texture. To help you with that, I’m going to let you in on an old asian secret that I use to make incredibly soft, moist bread – Tangzhong! Tangzhong is a water and flour roux that is added to the bread dough to increase the moisture content of the bread and make it very very very soft. And remember to let the dough rest as well. Because rested gluten = super soft dough! Adding Raisins to this is optional. The traditional Sri Lankan banis has raisins in it but you can easily omit them if you wish. I used to remove the raisins or request plain ones when I was a kid, but my appeal for raisins has evolved a lot since then! Especially since Mr. K loves raisins in everything ! (no joke). You have to let this dough rise twice – once after kneading and the second time after the dough rolls are formed on the baking tray, before they go in to the oven. In a saucepan combine half the milk and 3 tbsp of Flour and whisk until there are no clumps. Heat gently on the stove until the mix thickens to a runny paste. Mix the rest of the milk, half of the sugar and yeast in a bowl and leave for about 15 minutes until bubbles (froth) start to appear. In a mixing bowl, mix the flour, rest of the sugar, salt, egg, egg yolk and softened butter. With the dough hook turned to low, add the tanzhong and the milk/yeast mix in to the flour and mix until the dough comes together. Add a few teaspoons of milk if the dough looks too dry, or some flour if the mix seems too wet. Knead for 10-15 more minutes on low (remember to scrape the sides and bottom of the bowl from time to time). 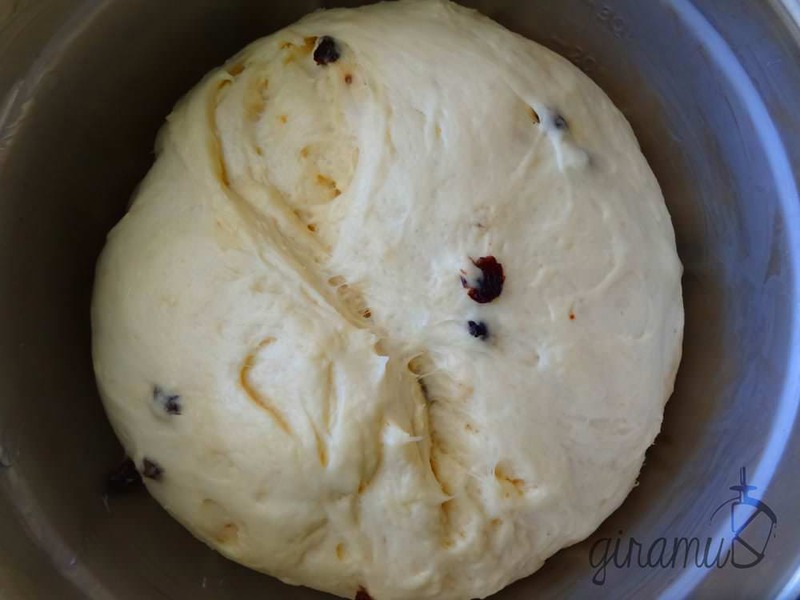 The dough should stick to the dough hook and the bottom of the bowl when kneading. The dough should be very soft and smooth, and a little shiny when you are done kneading. It is a little sticky, and when touched by your hand just slightly sticks to your fingers but comes off cleanly. Add the raisins in the last 5 minutes of kneading. Cover the bowl with plastic wrap and leave in a warm place to double in size for at least 1 hour. Punch the risen dough down and turn it out on to a lightly floured surface. 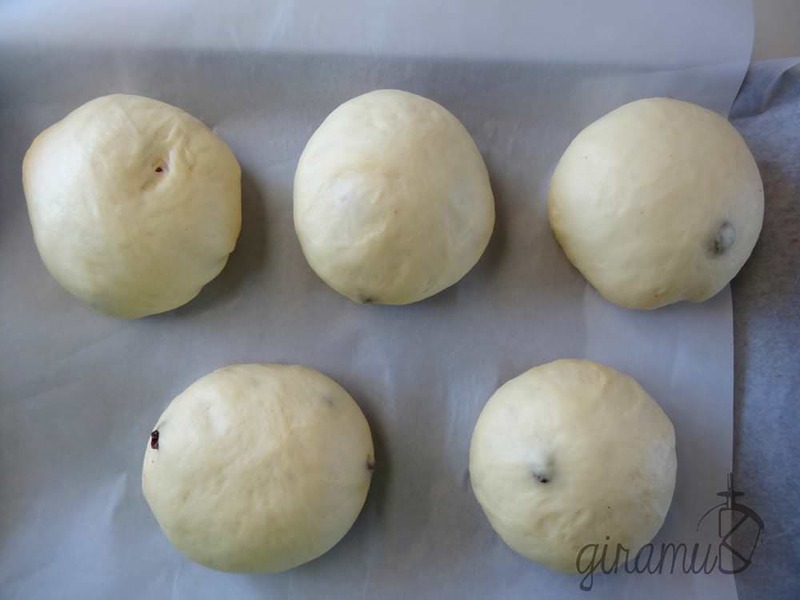 Divide the dough into 8 portions and form balls and place them on a baking tray with parchment paper. 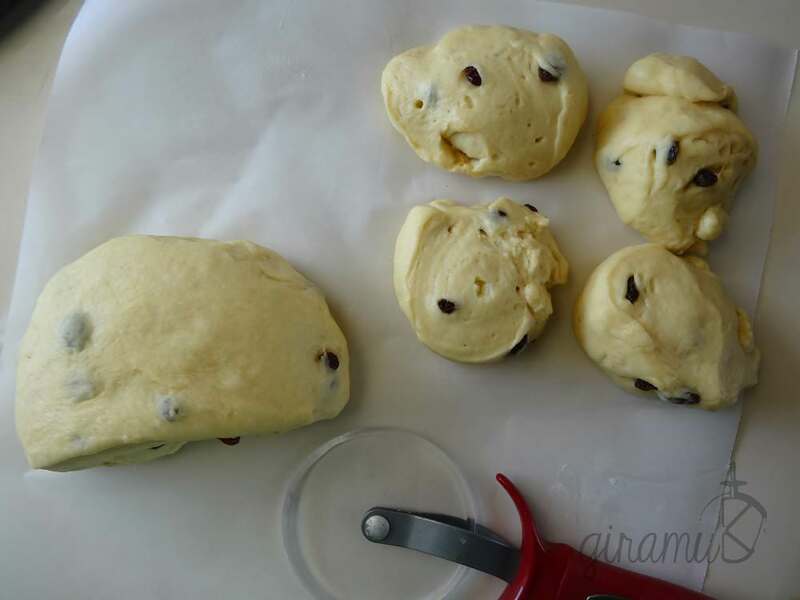 Leave plenty of room between the dough to make sure they do not stick together. Cover loosely and let it rise for about 45 minutes to an hour. Preheat oven to 325°F/165°C. Bake in pre-heated oven for 15 minutes until buns are golden brown on top. Best eaten warm - butter optional. You can glaze them on top if you want to – but I can’t remember a glaze on the ones I used to eat. It darkens the top of the buns too much for me. So I prefer to not have the glaze. You can store these in an airtight container for up to 3 days or in the fridge longer. Best eaten within two days. Another tip – you can heat them up gently in the microwave for a few seconds and eat them warm. (it somehow makes them taste even better, just don’t ask me how or why!). Sri Lankans living overseas don’t often get a chance to eat the food they grew up with unless they make it themselves. So I hope anyone who comes across this blog – Sri Lankan or not – gets a chance to make these banis, because as you can see in the image above, they are incredibly soft, fluffy and light in the middle and has a sweetness that makes them the perfect accompaniment to any kind of hot beverage, not necessarily tea. But they are just as delightful on their own as well. I enjoyed these fresh out of the oven with a little bit of butter and a cup of tea. Mr. K prefers his without the butter. I was able to share these with a Sri Lankan family living close by and they loved them too. My parents in New Zealand can’t wait to try this recipe as well. So I do hope you get a chance to taste the traditional Sri Lankan tea banis too, I guarantee they will be worth your while and effort! 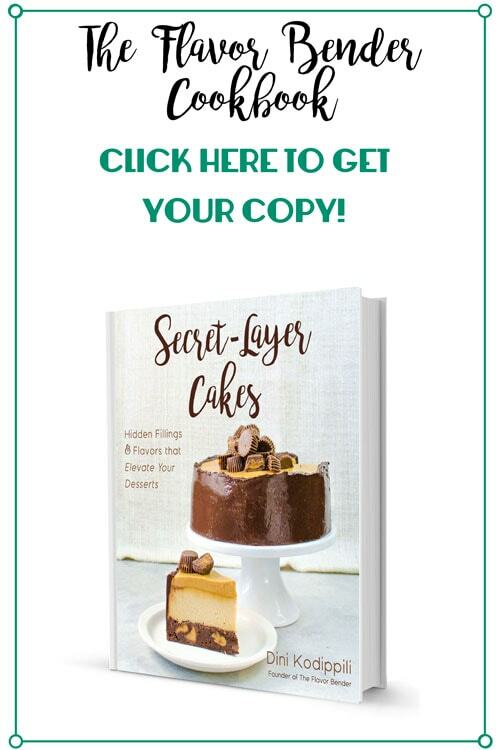 You can follow me on facebook, twitter, instagram or googleplus for more updates – and subscribe for new recipes below. There will be more Sri Lankan cuisine inspired food coming up on the blog in the future, plus more fall inspired recipes too! Well i am from pakistan and we also grew up eating these buns there. 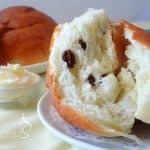 I have tried soooo many recipes and made so many different type of buns but could never get the right flavor. Thank you so much for bringing my childhood memories back with this recipe. I have made it 3 times already in just one month of discovering it. Thank you so much for letting me know Arfaa! I’m really glad you enjoyed the recipe. 🙂 I’ve been meaning to make these again and update some of the old pictures on this post too. You’re so right, these buns remind me so much of my childhood too! I tried this recipe. It came out perfect. Enjoyed with my friends . Best with banana also..
perfect recipe worth trying. Keep updating awesome recipes.